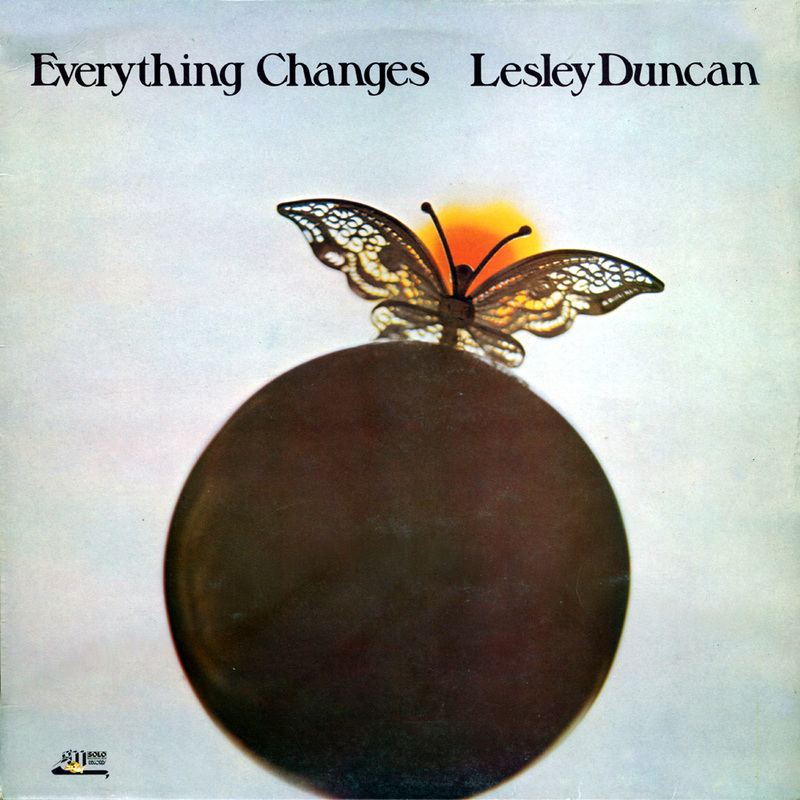 Lesley Duncan, was one of Britain's first female singer-songwriters. Her songs had an astonishing emotional depth and her voice a rare combination of warmth and clarity, bringing an intimacy to the experience of listening to her records. For those who discovered her music in the early 1970s, she stood out from all the other pop and rock of the era. Her big break came when Elton John recorded her Love Song as a duet with her for his album Tumbleweed Connection (1970). Love Song – "a little song I'd knocked up as a suitable B-side," said Lesley – went on to be covered by more than 150 artists, including Olivia Newton-John, David Bowie and Barry White. In 1977, Topol and Najah Salam recorded it in Hebrew and Arabic to commemorate the peace meeting between Egypt's president, Anwar Sadat, and Israel's, Menachem Begin. Born in Stockton-on-Tees, Lesley had an unpromising background, leaving school just before her 15th birthday and home soon after. In 1962, while she was working in a London coffee bar, she and her brother Jimmy (soon to become manager of the Pretty Things) took some songs to a leading Tin Pan Alley music publisher. Jimmy was signed with a weekly retainer of £10, and Lesley with £7, on the grounds that she had fewer songs, no guitar and was a girl. Within a year, she had an EMI recording contract and had appeared in the film What a Crazy World (1963), with Joe Brown, Marty Wilde and Susan Maughan. She released a dozen singles from 1963 to 1970, while continuing to write songs for other performers, including the Walker Brothers. She was also in great demand as a session singer, contributing backing vocals to Dusty Springfield's singles from 1964 up to her See All Her Faces album in 1972; Springfield returned the favour, doing backing vocals on Lesley's singles. 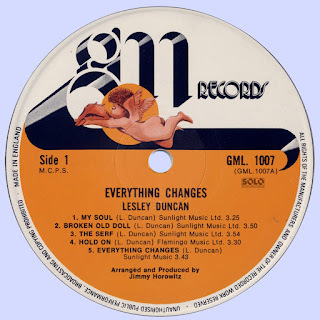 By the late 60s, Lesley's songwriting was changing in style from girl-pop to more reflective writing. Her first album, Sing Children Sing (1971), was produced by Jimmy Horowitz, whom Lesley married in 1970 (they later divorced). It was followed by Earth Mother (1972); the title track, dedicated to Friends of the Earth, is one of the first, and finest, eco-songs. 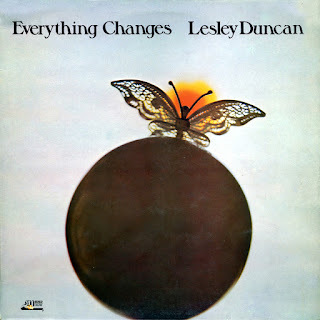 Throughout the 70s, Lesley sang backing vocals for Donovan, Long John Baldry, Kiki Dee, Ringo Starr and many others, and also sang on the Jesus Christ, Superstar album, Pink Floyd's Dark Side of the Moon (1973) and the Alan Parsons Project's Eve (1979). Her first two solo albums were critically acclaimed but, despite a lot of radio play, neither sold well. Her next two, Everything Changes (1974) and Moon Bathing (1975), again failed to break through. Her last album, Maybe It's Lost (1977), was a conscious attempt to hit the popular market; when it didn't, she decided to call it a day. She moved to Cornwall and, in 1978, married her second husband, the record producer Tony Cox; they later moved to Oxfordshire and, in 1996, to Mull, in the Inner Hebrides. She contributed both her time and her music to causes she believed in, including releasing a new version of her song Sing Children Sing for the Year of the Child in 1978. Lesley Duncan, passed away on 12 March 2010.